Shanghai has taken a fresh step in leading the 5G pack by constructing what it says is the world's first district boasting both the coverage of a fifth generation mobile network and a gigabit broadband network. A trial run of the 5G network, backed by the country's top telecom carrier China Mobile, officially began on Saturday in Shanghai's Hongkou district, where 5G base stations have been deployed to ensure full coverage. During a kickoff ceremony, Shanghai Vice-Mayor Wu Qing made the first video call under the 5G network using a Huawei Mate X handset, the world's first 5G foldable AI phone. When fully operational, subscribers will enjoy the same service without needing to upgrade their SIM cards. The city aims to build over 10,000 5G base stations by the end of this year, and the figure is expected to surpass 30,000 in 2021, said Zhang Jianming, vice-director of the Shanghai Municipal Economic and Informatization Commission, the local telecom and industry regulator. A comprehensive deployment of the superfast network, which transmits at least 10 times faster than 4G at peak rates, is conducive to the development of industrial manufacturing, internet-connected cars, healthcare and smart city management, all of which are strategically critical industries for Shanghai and China, Zhang said. "Shanghai also aims to nurture over 100 innovative companies specialized in exploring 5G-related application scenarios, whose industrial output is expected to reach 100 billion yuan ($14.9 billion) by 2021," he noted. 5G opens up new possibilities for a multitude of life-transforming applications - from 3D video to immersive media, autonomous vehicles and the enablement of smart cities, thanks to the ultrahigh data transmission rates, enhanced capacity and reduced latency, according to global consultancy Ernst & Young. "It is also the key to unlock other technologies such as artificial intelligence, robotics and the internet of things, therefore providing tremendous potential in China that could not be underestimated," said Steve Lo, managing partner of technology, media and telecommunications at Ernst & Young China. 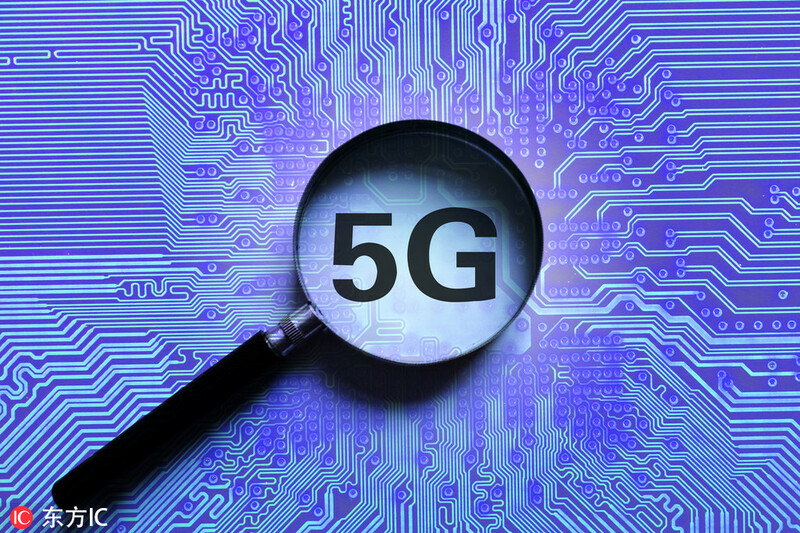 Provinces and municipalities are scrambling to climb the 5G ladder and incorporate the development of 5G into their respective government work reports this year. Last week, Chengdu, capital of Sichuan province, vowed to realize large-scale commercial use of 5G by 2020, whereas Wuhan in Central China said it has completed a trial network encompassing over 100 5G base stations to conduct experiments in autonomous driving, drone patrols and Beidou satellite-backed precise positioning. China Mobile vice-president Jian Qin said the carrier has invested "the most" in Shanghai to help the city expand its 5G network and nurture related applications, thanks to its solid infrastructure in many aspects. "A sound economic environment, systematic industrial outlay, huge market potential and a vast talent pool have given Shanghai a unique edge in pioneering some of the nation's and even the world's leading information technology practices," said Liang Zhiqiang, vice-general manager of China Mobile Shanghai. In February, Shanghai announced a 5G deployment program in Hongqiao Railway Station, where users can ideally watch live broadcasts of town hall meetings.